WST believe in Montessory Theory. In WST Toddler program offers an individualized approach to learning that addresses all aspects of growth : cognitive, physical, social and emotional. 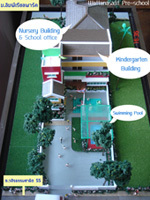 We maximize the development of young children through a child focused environment.